In this groundbreaking and accessible book, Tetlock and Gardner show us how we can learn from this elite group. Weaving together stories of forecasting successes (the raid on Osama bin Laden’s compound) and failures (the Bay of Pigs) and interviews with a range of high-level decision makers, from David Petraeus to Robert Rubin, they show that good forecasting doesn’t require powerful computers or arcane methods. It involves gathering evidence from a variety of sources, thinking probabilistically, working in teams, keeping score, and being willing to admit error and change course. 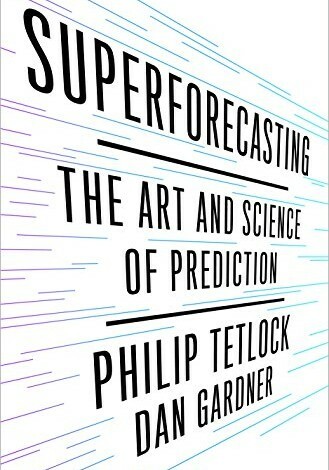 Superforecastingoffers the first demonstrably effective way to improve our ability to predict the future—whether in business, finance, politics, international affairs, or daily life—and is destined to become a modern classic.